More Moet (g. by More Than Ready). 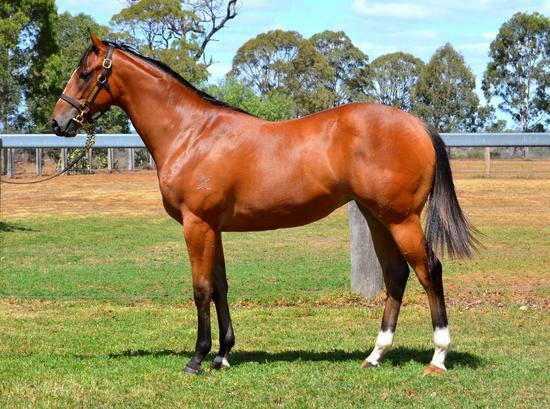 4 wins from 2000m to 2400m, A$115,400, to 2018-19, ATC TAB H.
Subvert (f. by All Too Hard). Placed in 2018-19 in Aust. (A) GOLD TRAIL (Hussonet). 7 wins at 1100m, 1200m, NZ$120,000, A$467,005, S$45,000, ARC Railway H., Gr.1, AJC Shorts H., Gr.2, STC Canterbury Classic, L, IRSA Daily Living Trade Show H., AJC Schillaci H., Sydney.com H., STC Caravan & Camping Supershow H., 2d STC Expressway S., Gr.2, Missile S., Gr.3, AJC Double Century H., Shaftesbury Avenue H., 3d AJC Galaxy H., Gr.1, STC Starlight S., L, AJC Centennial Park H., Schofields H., 4th Singapore TC Krisflyer International Sprint, Gr.1, STC Concorde S., Gr.3, BRC Chief de Beers H., L.
Trail of Glory. 3 wins-2 at 2-at 1100m, 1200m, A$129,000, to 2018-19, BRC H&T H.
Mickelberg. 3 wins-1 at 2-at 1200m, 1250m, A$189,760, ATC Canterbury BMW H., Become a Sponsor H., Ascot Club 2YO P., 2d ATC Vili's Bakery H., Gallipoli H., Rosehill Garden Event Centre P., Vinery Stud H., 3d AJC Yellowglen 2YO H., STC Winning Post Restaurant 2YO H., ATC Austbrokers ABS Bloodstock H., Season Pass Available H.
Prerequisite. 2 wins. See above. Wild West. 3 wins from 1000m to 1600m in Aust. Eight Chance. 2 wins at 1200m, 1600m in Aust. Golden Veil. Winner at 800m in Aust. SECRET TRAIL (Denman). 5 wins-1 at 2-to 1200m, A$503,871, to 2017-18, BRC Bright Shadow H., L, McGahan Electrical H., GCTC Tattersall's Racing Club 2YO P., ATC Bowermans Furniture H., Theraces H., 2d GCTC Magic Millions H., ATC Schweppes H., Tab.com.au H., 3d ATC More Than Ready at Vinery H., TAB Rewards H., 4th ATC Maurice McCarten H., Gr.3. Hostwin Legend - Magic Legend (H.K.) (Red Element). 6 wins-2 at 2-to 1200m, A$39,435, HK$6,004,450, BRC Hamilton Hotel 2YO H., HKJC Duddell H., Nam Long Shan H., Po Tin H., Citi Global Banking H., 3d HKJC Premier Cup, Gr.3, Pacific Ocean H., 4th HKJC Premier Bowl H., Gr.2, Sha Tin Vase H., Gr.3, National Day Cup, Gr.3. TRAIL OF GOLD (Danewin). 4 wins. See above. Mighty Elegant. Winner at 1350m, BATC Lee's H. Producer. RULING MUSIC (Stop the Music). 8 wins, Rockingham Promised Land H., L.
ROSA D'ARGENT (Full Pocket). 5 wins, Aqueduct Miss Disco S., L, 3d Aqueduct Correction H., L, Meadowlands Starlight S., L, Meadowlark S., L. Producer. WHAT'S UP DUDE (Furiously). 7 wins-2 at 2-from 5½f to 8½f, US$210,566, Woodbine Swynford S., L, 3d Woodbine Silver Deputy S., L, 4th Woodbine Grey S., Gr.2.